Landlords: Are You Tired of Late Rent Payments? 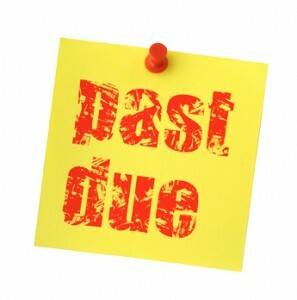 Why is it that a tenant will pay the phone bill on time, but will pay rent two weeks late? Maybe it’s because late payments to landlords don’t carry the same immediate consequences. Most creditors have that advantage — immediate pain for bad behaviour. People know that if they don’t pay those bills on time, they may lose a valued service. That’s the way a contract is supposed to work. But for landlords, consequences like eviction can take months, and even then a late payment may not be sufficient grounds to recover the property. A landlord may have to show repeated late payments. Unfortunately, by then, the tenant is accustomed to paying late, and the tenancy is doomed. For instance, in a recent case in dispute resolution, the tenant was accused of paying rent late at least six times. This pattern didn’t begin until several months into the tenancy. The tenant admitted to paying two to three weeks late for five months, but claimed that after the first couple of late payments, the landlord seemed to be “OK” with it. Why do tenants pay late? Because they can get away it. Fortunately, there is an new option for landlords that reduces late payments by holding tenants immediately accountable. TVS has negotiated with Equifax Canada to allow our landlord members to report tenants’ rent payments each month — the way other creditors do. This information then can be included in the tenant’s consumer credit report. You can bet that will get your tenants’ attention, and prevent them from using you like a revolving line of credit. In addition, TVS has launched a tenant database at www.landlordcreditbureau.ca. This searchable database lists both low and high risk tenants, so you can see if your applicant cheated another landlord — or two or three or six of them. If you’re tired of waiting for the rent, having to coax and cajole tenants to pay each month, or moving funds around to cover your expenses while you wait for dispute resolution, you need to try this option. Likewise, if you have good tenants, then Reporting Pay Habits benefits them by helping build a strong credit history. The Landlord Credit Bureau database is automatically searched when you request a consumer report on a new applicant. To get started, log in to your TVS account and find Tenant Pay Habits in the upper tool bar. Do it for your own peace of mind, and for fellow landlords who may inherit your former tenants. Thanks for this informative article. Regular reader. I am a landlord in Ontario, Canada. If we add a late fee to our rental agreement such as $50 or 2% per month, is that permitted and enforceable? It’s my understanding that you cannot charge a late fee in Ontario, but you should confirm that with a lawyer or maybe with the Landlord and Tenant Board. Even in areas where you can charge late fees, those fees are capped so low that they don’t do you much good. The tenants just pay it and then do it again, like the tenancy agreement is a line of credit. Report Tenant Pay Habits is a far more effective option because tenants don’t want to ruin their credit, plus it actually helps good tenants build credit. Thanks for reading! Is this only for rentals in Canada, or can US landlords participate also? TVS is in process of securing this valuable service for landlords in the US. Sign up to Report Tenant Pay Habits at our affiliate site Landlord Credit Bureau now to add your tenants to the database. Once an agreement is finalized, that database will be shared with Equifax and the information reported on the individual credit reports. You also can access this service on the TVS website by following the tabs to Report Tenant Pay Habits. For those landlords who already are doing this, that information will be shared so no need to do more. That database currently can be searched when our members order tenant credit reports. Thanks for your interest.